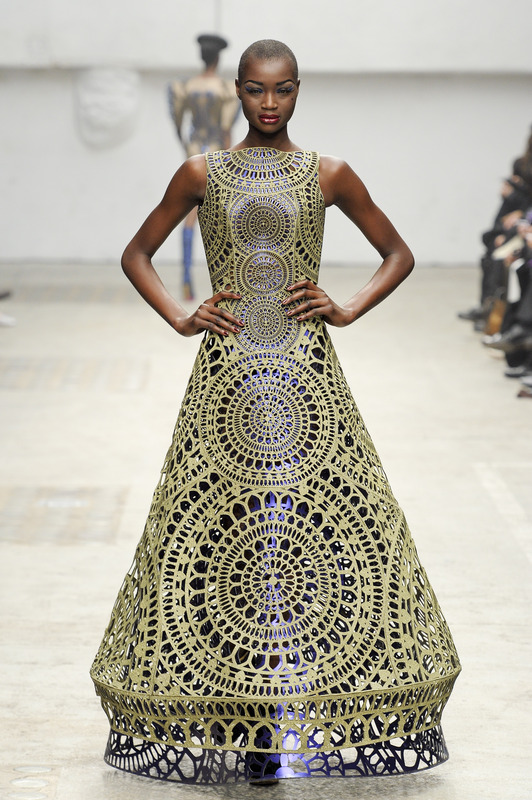 One of the most talked about shows of Paris Fashion Week was the enchanting Manish Arora show. 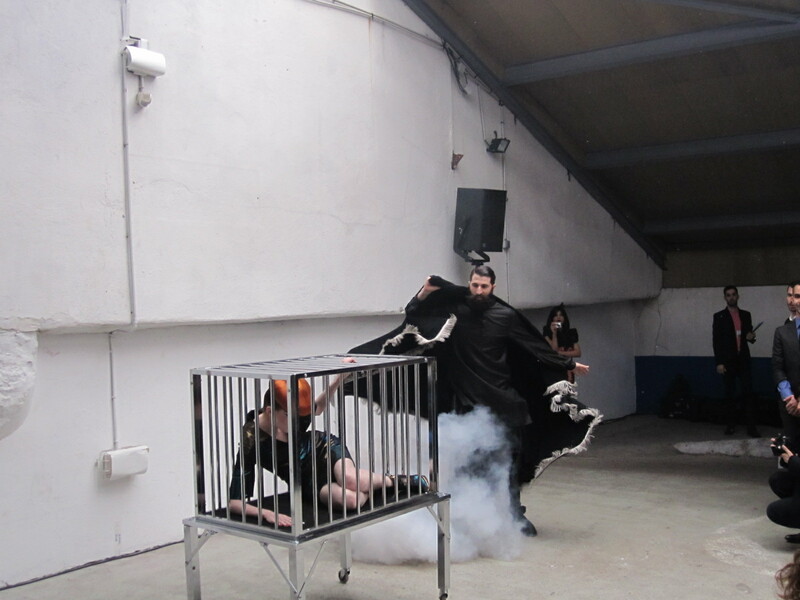 Think magic show meets garage-band meets a world of origami…it was truly a fantastical extravaganza for all to see. The ominous music of M.I.A., a hip garage, a bearded magician making models disappear and reappear and a bewitching and electrifying collection captivated the audience’s attention. 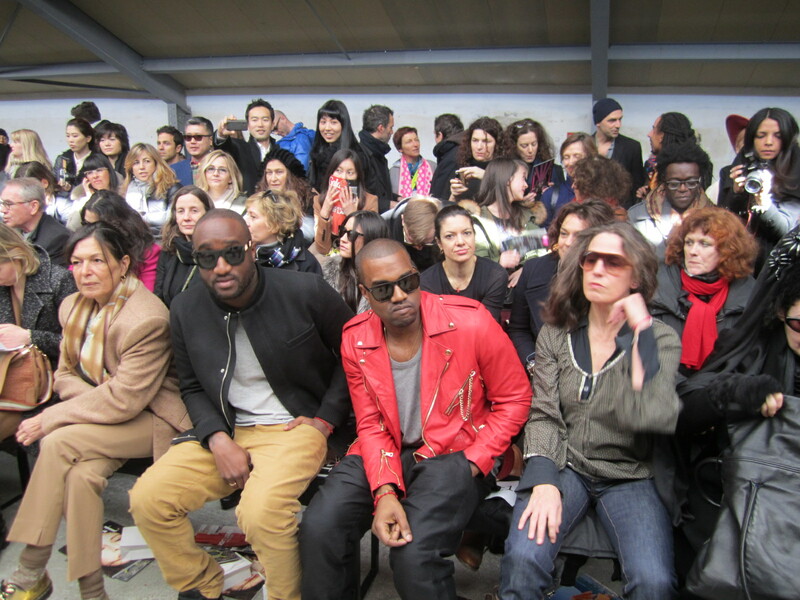 Kanye West, Susie Menkins from the International Herald Tribune and Hillary Alexander from the Daily Telegraph sat front-row-center. As the signature hair-hatted models slinked down the runway followed by a nebulous cloud of smoke, we were transported into Manish’s world of beautiful colors and embroideries. The collection illuminated the incredible mix of kaleidoscopic colors, ornate embellishments and extraordinary craftsmanship. Simple silhouettes, heavy embellishment, stained-glass patterns, funky patchwork, sophisticated embroidery, Swarovski crystals and color galore were the resounding themes of this collection. One of my favorite looks was a delicate floor-length gown reminiscent of a paper snowflake. Recently appointed artistic director at Paco Rabanne, the fashion industry is anxious to see what Manish Arora has in store for this iconic brand. Manish was able to pull off his own trick with his masterful display of showmanship. We all witnessed a little bit of fashion magic today.